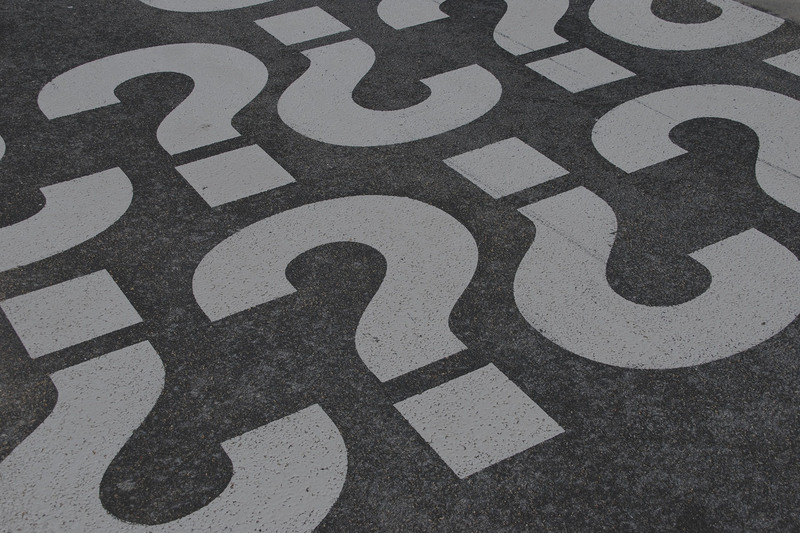 Are ELDs negatively affecting driver safety? As a driver of 14 years, I believe the ELD is a good thing, but I am concerned about drivers feeling pressured by dispatchers/companies and pushed by the clock to deliver on time. This may cause drivers to operate in inclement weather, when tired or sick, and/or rush through slow maneuver areas, potentially putting themselves and others at risk. What is your take on this? Thank you very much for your very comprehensive email on issues that you are observing with drivers operating commercial motor vehicles. I'm sorry to hear that drivers are still being pressured by dispatchers/companies to get the load there on time as you described above. You likely know, the U.S. government passed ‘The Whistleblower Protection Act’, that came into federal law in 1989. This legislation guarantees freedom of speech for workers and contractors including truckers in certain situations. Essentially, whistleblowers are protected from retaliation for disclosure of information that the employee reasonably believes, evidences a violation of any law, rule, or regulation, an abuse of authority, or a substantial and specific danger to public health or safety. In the scenarios you described above, I strongly urge that you encourage your colleagues that drive trucks to take advantage of this legislation to protect themselves from such abuse. I acknowledge that the hours of service (HOS) rules in the U.S. has had a major impact on the trucking industry. 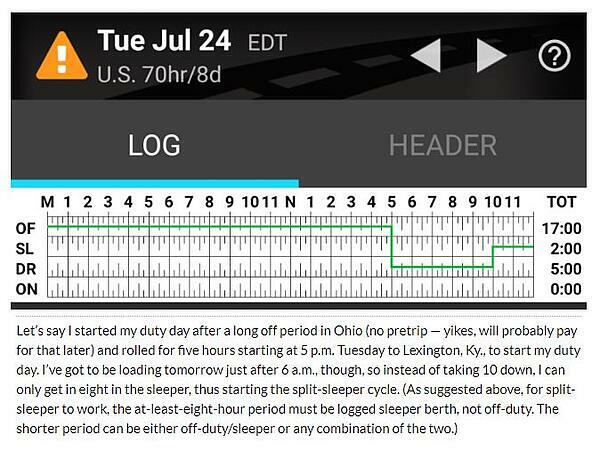 This is particularly the case with the electronic logging devices (ELDs) rulemaking. 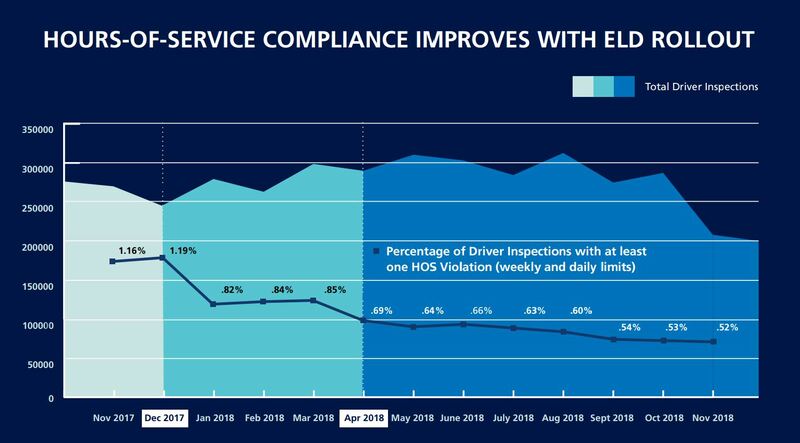 Based on statistics provided by the Federal Motor Carrier Safety Administration (FMCSA), it has been found that deployment of ELDs have helped motor carriers and their drivers to comply with regulations, improve productivity, and increase utilization. Even more important from my perspective, is the fact that ELD deployment has clearly identified specific areas where HOS regulation needs to be updated to reflect the changing needs of motor carriers and their drivers. With the work stoppage in the U.S. now over, it is my hope that FMCSA will get underway with the work needed to amend these HOS rules. 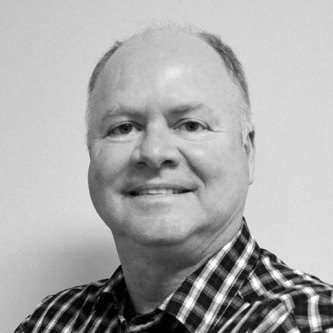 Probably the most important emerging issue is the need for more flexibility that ELD technology and HOS regulations currently provides to the trucking industry. Before we had ELDs, truckers had the flexibility needed to get the job done with rounding up of their hours in 15-minute increments. With ELD, time is literally to the minute and seconds, so drivers need to account for all their time during the day. In an attempt to address what you identified above, FMCSA did update their guidance on personal conveyance rules. Effective June 7, 2018, the FMCSA has relaxed the protocol for drivers to enter personal conveyance as an ‘off duty’ status. 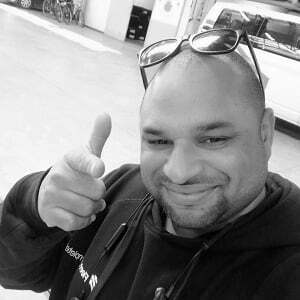 Read my blog explaining the updates for more detail. The new guidance clarified what was deemed acceptable use of the personal conveyance rules by a driver whether operating a commercial motor vehicle empty or loaded. In the past, personal conveyance could only be used by a driver if the vehicle was empty, but that is no longer the case. 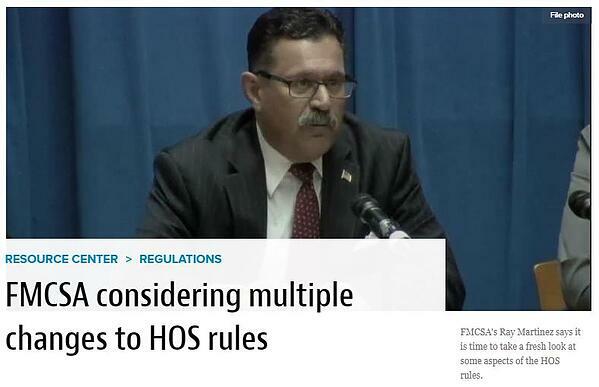 FMCSA also put forward a proposal to change four specific areas in the HOS regulation to help drivers to comply with the regulation, and ultimately have better HOS rule to work with. The Advance Notice of Proposed Rule-Making (ANPRM) was originally published in August, 2018. Any driver or a concerned party had the opportunity to provide comments to the FMCSA by October 10, 2018. There were over 5,000 comments received during the allocated time and my hope is that the work on these very important HOS reforms can get underway soon. For your convenience, I'm going to go over some of the major areas of HOS that FMCSA is seeking to address in these four key areas. Follows all other basic hours-of-service rules including the 10-hour off-duty and 11-hour driving requirements. As condition to using this exemption, a motor carrier must keep time records of the times a driver reports for and is released from work each day, and the total hours on duty each day. A driver does not have to have these records in their truck. What many drivers are unaware of is the fact that this exception is optional. For example, a driver and their motor carrier may choose to use a logbook even though they are within the 100 air-mile radius, so that the driver does not have to be released from work within 12 hours that day. In this case, the motor carrier that employs the driver and utilizes this exception must maintain and retain for a period of 6 months accurate and true time records. The total time for the preceding 7 days for a driver that is used for the first time or a part time driver when he/she gets behind the wheel of a commercial motor vehicle. Some motor carriers do not keep such records, and this can and will result in citations against both the driver and the motor carrier. What FMCSA is considering going forward with is whether they should increase the time from 12 hours to 14 hours to return to their work reporting location. FMCSA is also looking at any other changes that the trucking industry should consider with regard to the short-haul provision for hours of service in terms of the exception to the requirement for drivers to complete a logbook. The second provision that FMCSA wants to address is with respect to the exemption for adverse driving conditions. Currently, if unexpected adverse driving conditions slow a driver down, he/she may drive up to 2 extra hours to complete what could have been driven in normal conditions. This means a driver could drive for up to 13 hours, which is 2 hours more than allowed under normal conditions. FMCSA currently interprets adverse driving conditions to mean things that a driver did not know about when he/she started the run, such as snow, fog, or a shutdown of traffic due to a crash. Adverse driving conditions does not include situations that a driver should have known about, such as congested traffic during say typical rush hour periods in a day. What some drivers may not know is that even though he/she may drive 2 extra hours under this exception, a driver must not currently drive after the 14th consecutive hour after coming on duty, and must also currently comply with the minimum 30-minute rest break provisions. What the current regulations does not currently specify is whether those two additional hours would kick in with regard to the 14-hour rule. 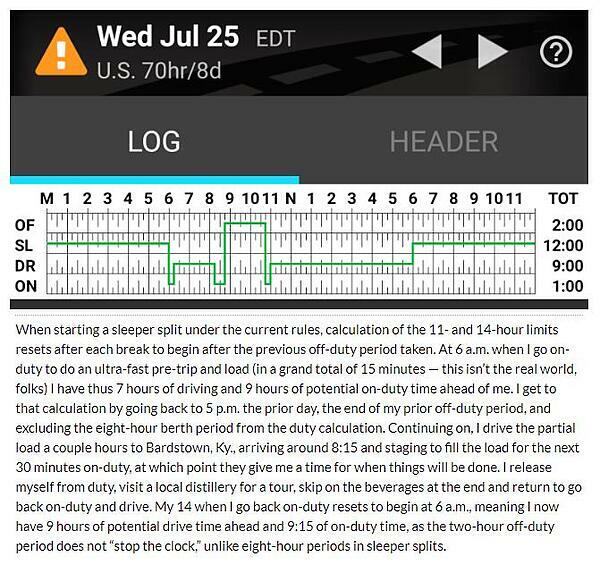 So the debate at roadside with DOT or during a Compliance Audit seems to be whether a driver should get the two additional hours under the 14-hour rule or not. Part 395 does not also clarify whether a driver would get 2 additional hours under the 60- or the 70-hour rule if the adverse conditions happen towards the end of their cycle or not. Therefore, FMCSA will attempt to address this specific exempt so that it is clear to the industry. The next rule that FMCSA is looking at is the mandatory 30-minute rest break in a day that a driver must take. Specifically, if more than eight consecutive hours have passed since the last off-duty, or sleeper-berth period of at least half an hour, a driver must take an off-duty break of at least 30 minutes before driving again. For example, if a driver started driving immediately after coming on duty, he/she could drive for 8 consecutive hours, take a half-hour break, and then drive another 3 hours for a total of 11 hours. In a 2nd example, a driver could drive for 3 hours, take a half-hour break, and then drive another 8 hours, for a total of 11 hours. Because of this short break provision, drivers are able to work 13.5 hours in the 14-hour period, if they are driving after the 8th hour on duty. The driver must be off duty for at least a 30 minutes. Meal breaks or any other off-duty time of at least 30 minutes qualifies as a break. This 30 minute of off duty time would not count against the 14-hour driving window, therefore allows this off-duty time to extend the workday to allow a driver to drive long past the time when fatigue would become an issue in normal circumstance. FMCSA is currently looking at impact of either eliminating this 30-minute rest break, or changing it from 30 minutes off duty time to 30 minutes on duty, as long as it is not driving a commercial motor vehicle. The fourth rule that FMCSA is looking at is the sleeper berth rule. At the current time, Part 395 only allows a driver to split a rest period using a 2/8/2 split in the sleeper berth to get the required off-duty time - that’s it! What FMCSA is considering is more flexibility such as 3/7 splits, 4/6 splits and 5/5 splits. See a good example of how to do an 8/2 or a 2/8 sleeper berth split by Todd Dills in the images on the right. Amend the HOS rules to allow drivers to take a rest break once per 14-hour duty period for up to three consecutive hours if the driver is off duty. Extend to the 17th hour after coming on duty, instead of the 14th hour, which would be the latest time a driver could drive after coming on duty. Continue to limit drivers to 11 hours of driving time, and require at least 10 consecutive hours off duty before the start of the next work shift. Amend the requirements against driving after the 14th hour; rather prohibit driving after a driver has accumulated 14 hours of on-duty. Drivers to use multiple off-duty periods of three hours or longer instead of 10 consecutive hours off duty. Stay tuned to see if any of these amendments actually become reality. Many trucking companies have deployed onboard computer technology, such as what is available at Fleet Complete, to comply with HOS requirements throughout North America. Many of these trucking companies have found that, in addition to other technology solutions at their disposal, ELDs are helping them improve compliance, productivity, and utilization in their fleet operations. 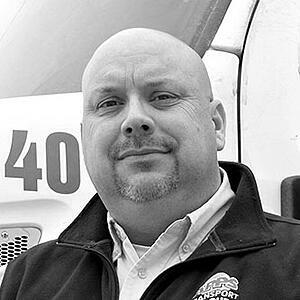 In closing, it’s extremely important to make sure that the trucking industry is getting all the potential productivity and utilization out of their drivers and equipment to maximize profit, while operating safely and complying with the regulations.